So you have lovingly baked the cookies, spent all day flooding and lovingly decorating them. Leave them to dry overnight, only to come back the next day to find mini craters in your super smooth icing, blotches appearing on your beautiful colors, color bleeds ruining your creatively perfect cookie!!! Your heart sinks a little, and then the frustration sets in. It’s a place ALL cookie decorators have been, yes even the most experienced ones still find they have these issues at one time or other. You are not alone. But never fear, I’ll give you some tips on how to avoid those pesky icing issues we all seem to experienced and save the heartache to achieve beautifully decorated royal icing cookies. I can’t tell you how many times I have left some beautifully decorated cookies to dry overnight only to find the next morning that dreaded icing craters have appeared. It’s truly heartbreaking especially when you have put so much of your heart and soul into it, not to mention your time. So how do you avoid this? Try using a thicker consistency icing. I have found that this happens more when the icing consistency I have been using has been slightly thinner than needed. Use a fan to dry your cookies or a dehydrator. 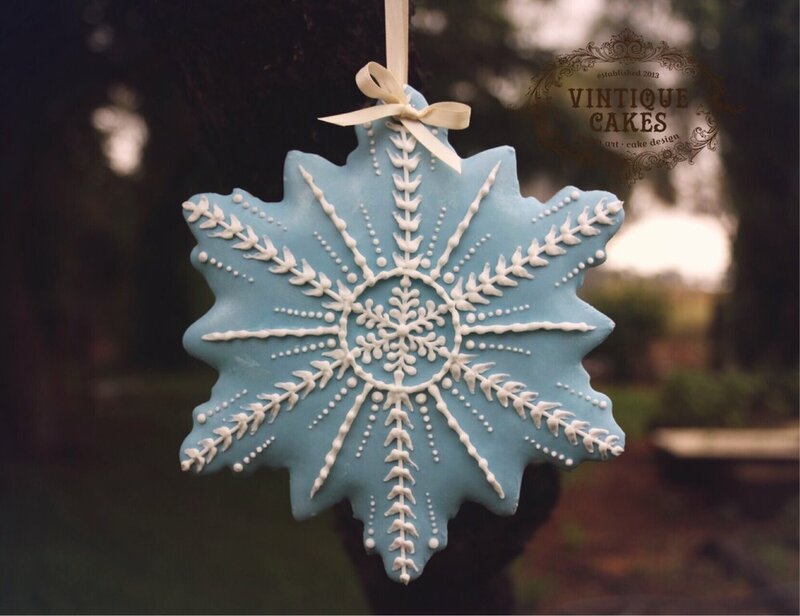 Air bubbles occur naturally in royal icing, the quicker it dries the less chance you have of air bubble issues developing. The dreaded color bleed, usually happens when the icing is too thin or too much color has been added to the icing. When making darker stronger colors allow yourself time to achieve it. Add as little color as possible to get the color you need. Food colors darken over time so try to color your icing the evening before so it can deepen in color overnight. This happened to me just recently.... and I seriously don’t have a foolproof remedy for this one. All I can tell you is what I do differently now. It happens when butter from the cookie melts under your icing and seeps up through to the top ending in unsightly blotches. Keep your cookies in a cool spot as heat will cause the butter to melt. Wait 24 hours between baking and decorating, I find this allows everything to settle. Again with the icing consistency, thin icing can make matters worse in this area so stick to a thicker consistency icing. I have also found this happens more with my red icing, so last time I had this issue I painted with a small brush the base of the cookie with some royal icing and allowed it to dry, like a base coat, and then flooded icing on top of it. I thought in this way it acted as a barrier. Yes it took a little longer to decorate them but as they were for a corporate client there was no room for error. You can also look at possibly reducing the butter in your cookie recipe, or adding more flour.... it’s a trial and error thing but find what can make it better for you. To get that beautifully smooth shiny finish on your royal icing cookies be sure to have them dry under a fan. Humidity in the air will slow down your drying time which can sometimes cause your icing to become dull, fragile and look to have an uneven surface. Once again this can also happen if your icing is too thin, so keep an eye on your consistency. I find keeping my cookies in an air conditioned room is best. PRACTICE, PATIENCE, PERSISTENCE & PASSION. There are no shortcuts to piping excellence, it involves that good old fashioned method of practice. Every time you practice you will see yourself improve. It takes time so be patient. Keep a picture diary of your work and when you look back at you will see how far you have come from the effort you have put in. Be positive, don’t limit yourself. If you think you, YOU CAN! Like I mentioned in my last blog, mix your royal icing on the lowest speed of your mixer. When mixed it should look like a thick glossy paste, not fluffy white meringue. Use the flat beater and not the whisk. This incorporates too much air in your icing giving you annoying air bubble issues. This is the biggest key to getting your piping right and where most people new to royal Icing struggle with. Icing that’s too thin brings issues such as increased chance of air bubbles and craters in your icing, uneven surface, dullness when dry and more chances of blotchiness. Icing consistency covered in volume one of the Royal Icing Troubleshooter Guide. You have had a long day of decorating cookies, a bazillion piping bags of color are sitting on the bench and you still have to finish off decorating the set of cookies tomorrow....... don’t be lazy and close the door and walk away hoping that a few squishes of the piping bag the next day will get you through to finish the project, it won’t. The water in your royal icing will naturally separate over time and it’s for this reason it’s best not to leave it in the piping bag overnight. It needs to be stored in an air tight container , briefly remixed the next day and put in a fresh piping bag. Otherwise you will have spots where the moisture has pooled in the icing and when piped the next morning it will ruin your cookie. For best results dry your cookies in front of a fan or in a dehydrator and keep them if possible in an air conditioned room away from a humid environment. Over-colouring is a common thing with royal icing. For stronger colors make them the day before as the color will deepen overnight. Only add a few drops at a time. Too much coloring brings issue such as color bleeding and can tend to separate your icing if too much has been added. Make sure the color is mixed thoroughly into the icing, Or it will result in a streaky uneven tone. This will also happen if your consistency is too thin. Last of all, give yourself the time, pace yourself and enjoy it. I know it’s not always possible but if you give yourself as much time as possible as most of us are time poor these days but there is less of a chance of making mistakes when we don’t feel pushed for time. So these are my tips and tricks to fabulous royal icing results. There’s a world of unlimited cookie creativity just waiting to be explored. Happy piping!